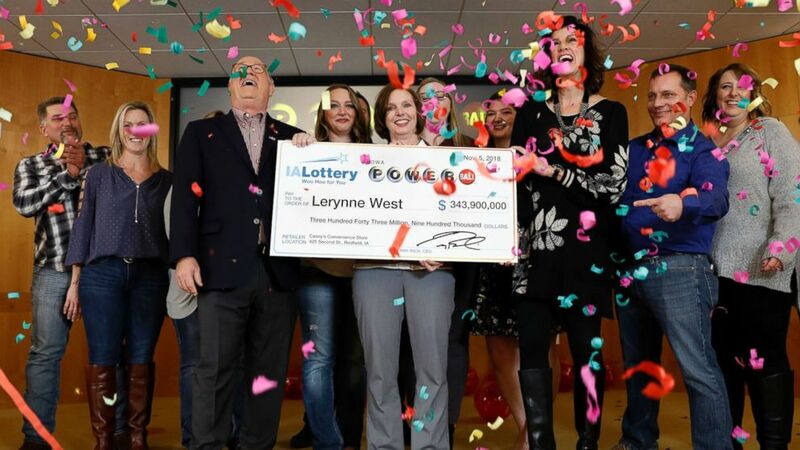 A single mom just won the largest lottery prize in her home state and announced she will be sharing the fortune with those who need it most. Last month, 51-year-old Lerynne West was celebrating the purchase of her first home. After she moved into the house in Nedfield, Iowa, she and her sister stopped at a convenience store for pizza and coffee. While she was there, she picked up a Powerball ticket. West played lotto regularly but the most she has ever received was $150. After she checked her Powerball ticket numbers, she realized she won the $343.9 million jackpot — the largest lottery prize ever won in Iowa. West chose to use the money to make an impact. She set up the Callum foundation, a charitable organization which will offer grants to initiatives that will alleviate poverty and hunger and improve education, animal welfare and veteran affairs. She grew up in a working class family in Earlham, Iowa a small town of 1,450. Her father was a Vietnam veteran and a welder and her mother was a stay-at-home mom. Aside from the Callum Foundation, which was named after her late premature grandson, she will give money to friends and family and set aside money for her grandchildren’s college tuition. I would hope that she will help some of our veterans! Maybe get some of those little houses set up for homeless people!